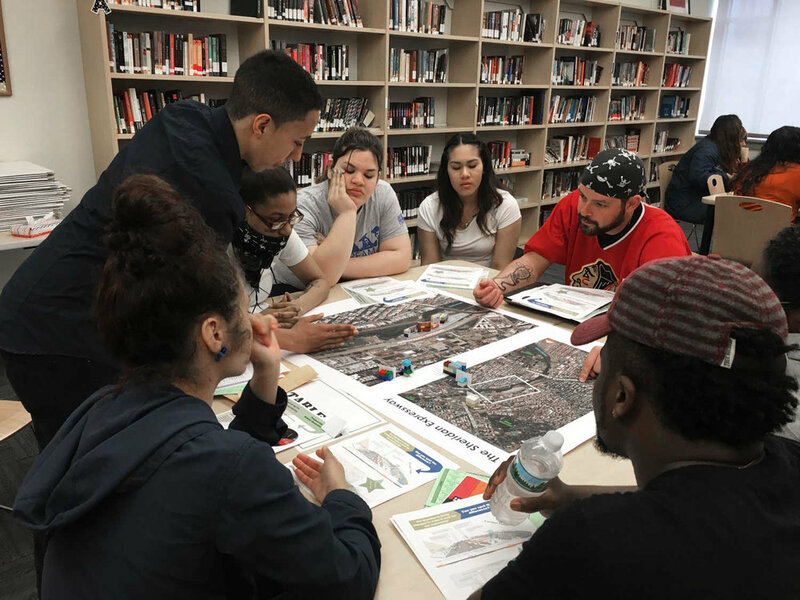 Pratt Center for Community Development works for a more just, equitable, and sustainable city for all New Yorkers by empowering communities to plan for and realize their futures. Over the past 55 years, Pratt Center has advanced meaningful community participation in public decision making and has delivered technical assistance in support of affordable housing, environmental sustainability, and equitable economic opportunity. This mission is carried out by a diverse team of professional planners, economic development practitioners, and sustainability specialists, augmented by the participation of Pratt Institute students and faculty. Pratt Center has helped hundreds of community-based organizations to create and preserve affordable housing, ensure equitable transportation access, revitalize commercial corridors, preserve manufacturing jobs, create community green spaces, and much more.